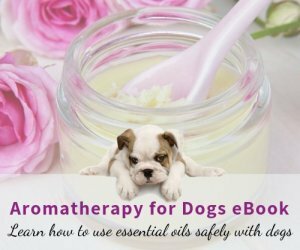 I thought that I would share my experience with other dog parents about Nelson, my much loved Miniature Schnauzer of 11 years who I had euthanized about 4 weeks ago. He seemed as healthy as could be until about 6 weeks ago when he started vomiting up his food, was lethargic and very unhappy. I had him at the local vet who couldn't seem to help him so they suggested I send him to a specialist clinic for further testing. He spent nearly 2 weeks with the specialists who tried everything to make him better. In the end, because he couldn't hold any food down and was completely miserable, I decided, with more agony that you could possibly imagine, that I should put him out of his misery. That was the hardest decision of my life but nothing was working to make him better and all the vets were scratching their heads to try and understand what was wrong with him. Fast forward to today ... I finally received the results of his autopsy - he had full blown liver cancer which had spread into his lungs - it was termed a "miliary" cancer which means "microscopic" which was why the cancer was not picked up in any of the testing that the vets did and, believe me, they did every test possible and gave him every medication they could think of which cost me all of a small fortune but I loved him and I wanted to make him better. As it turned out, the cancer he had was extremely fast spreading and it's most likely that it would have only been present for a month before he died - I guess dogs are smaller than humans so it would have been equivalent to when a human is told they have 6 months to live. Prior to the vomiting, Nelson had a blood eye which I had always thought, later in the piece, was connected to the his vomiting and illness but all of the vets, specialists included, felt it was unrelated to whatever it was that was making him sick (I did try to have the eye treated, for the record, prior to him becoming really sick - the pressure in his his eye was tested, he was given antibiotics and creams, etc, but nothing seemed to work to remove the blood). When he got really sick, I again asked if the eye (which by this stage had become blind) was related to whatever was going on and I think I even suggested liver problems (as his blood tests showed increased enzymes) but I was told no, the eye problem was separate and probably caused by an infection (an eye specialist checked him out also). I had always thought that liver problems can cause eye problems which is why I made the correlation. When the vets rang me today to give me the autopsy report, they conceded that, yes, the eye problem was an immune reaction to the liver cancer. Personally, I think that they should have looked more into the liver when he was with them given the blindness of the eye ... mind you, I think the cancer was too full blown by then so nothing would have made a difference and he would have died anyway. Anyway, I'm sharing this story for anyone who's wondering whether they made the right decision about euthanizing their pet when they've found out that they have liver cancer. Personally, if I had known that Nelson's problem was unfixable, at the start of his illness, as hard as it was, I would have put him at peace earlier because the last 2 weeks of his life were very unhappy for him and me - I was an emotional wreck hoping against hope that each day would see an improvement. We just didn't know what we were dealing with given the fact that the cancer was microscopic. I just don't know if there's a likelihood of a dog coming good after such a cancer be it microscopic or visible. 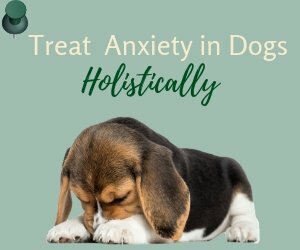 I chose to have an autopsy on my dog so that veterinary profession would have more knowledge if a dog was to present with the same symptoms as my boy did. At least then, an owner would have a better idea of what they are dealing with. I miss my dog with every part of me and I think it will be awhile before I get over his death. He was my best mate. So sorry that you're going through such a hard time. I'm glad that my story did help you; that was always my intention. Prayers for you and your schnauzie. It's a very hard time indeed but you will get through it and you will meet your loved pooch again one day. My Codie girl was Dx with Liver cancer yesterday and I am laying her to rest later today. Thinking back, it has been about 4 weeks since the first symptom. Bloody "raspberry" type diarrhea, and vomiting. We thought she had HCG, so we began treatment for that. After two days she was back to herself. A week later same exact symptoms returned. However we repeated the treatment, changed her diet and EUREKA! Codie was back. Now here we are in the present. 4 days ago she quit eating. I thought maybe her tummy was just upset, so I just watched her. She continued to drink water, more than usual, but I just monitored her. Day 2, still not eating, lethargic a little, and no barking. The vet was able to get us in on Day 3 of the symptoms and I told them I could be wrong, but I think she lost weight in the last 3 days. I was right, she had lost 7 lbs since this began (4 weeks ago). It was just really noticeable now because of her limp posture. Examination revealed jaundice in the eyes, gray gums, and her lab results were off the chart. Her WBC was 89. In a dog that is sick or has an infection the "normal" high is 16. Codie was 89. Being in the medical field I knew immediately that was bad and although the vet was going over the rest of the labs, I don't know what she said because I tone her out and laid in the floor with my girl. I am grateful I came across this post because I was starting to feel guilty for not trying more options. With her age (13) I just didn't want to put her through chemo and/radiation. We know it is written in Ketuvim how one feels about a pet. A good person has kind regard for their animal. This was written in about 700 BC. This interprets to me to say that our precious little pets are remaining with us in a spiritual presence. Hope this is of some comfort as you make the decision to put your pet to sleep. I have just found out today that my 13 year-old schnauzer has liver cancer and we have experienced exactly the same things as you. Infected eyes, difficulty breathing, vomiting, and loss of appetite. We have been told it is likely we will have to have him euthanized. I am devastated and trying to work out how to tell my children who have never know life without him. Funeral service was held Monday August 27, 2018 at 4:00pm in Big Spring, Texas at the Johnson Brothers US 87/IH 20 construction yard for Kipper. Kipper was born March 16, 2007 and passed on August 24, 2018. Kipper had a wonderful life having lived in six States. Left to cherish his memories are Kimz, Trudy, Mark, and a lot of friends. This truly is helping me with good grief. I recommend it to anybody suffering with depression after losing a beloved mini. So sorry to read the last two posts. So very sad to lose these wonderful dogs who fill such a large part of our hearts. I hope that you will both get through your losses. Thinking of you. On 24 August 2018, I had to lay to rest my boy Kipper. He gave us 11 years and 5 months of love and so much fun. I selfishly miss him and cried when I said goodbye to him at the Vet. He tried so hard the last week of his life to make me happy. He could not hold his food but was going to eat his on vomit due to his concerns. He had 3 large masses of cancer, knots, red eyes, and a cyst over his left eye. He was being treated because he was a bit sluggish 2 wks ago. His condition worsens this last week and the X-ray revealed the condition. I miss my boy so much! Tonight we lost our 11 1/2 yr old mini schnauzer Monty, the sweetest little dog that ever lived. He was a wonderful dog from the day we got him. In May he got really sick and I took him to the vet who said he had some sort of horrible infection, his blood tests were fine. He was on antibiotics and he was better in a couple of days. Last month he got diarrhea, the Dr gave him a painkiller and he got better. 2 days ago he vomited and wouldn't eat or drink so I took him to his 3rd vet in 3 months. He did more test, which came back clear, they did an ultrasound and thought he may have a tumor in his spleen. We agreed to have it removed and expected him to be better tomorrow. But when they opened him up he had a huge tumor on his liver and had spread, the vet said he died under anaesthetic. I am still in shock, but it does seem to be a really sneaky cancer our little loves are prone to. I am so grateful for the time we had with Monty and will miss him forever. Go chase some bunnies in heaven. We will see you again. Little man we love you. I'm sorry you lost your little mate. It's so hard but, yes, you do move forward but you never forget the joy these little dogs bring to your world. They make the hard times bearable is what I always say. I think it's a great idea for you to get another schnauzer, be it a puppy or an adoption. I bought a puppy schnauzer 4 years ago ("Cookie") after Nelson's brother Banjo died. Banjo's death also devastated me but I too felt there was a hole and I needed to fill it and bring some happiness into our home. About 6 months after getting Cookie, I adopted a 14 month old male schnauzer ("Romeo") who will be 5 years old in a few months. Romeo and Cookie are awesome and they have so much fun together and it makes me happy watching them play. Thank you for your post. I hope that my original post helps people in some way. Losing a pet is the hardest thing but if I can give closure to just one person, I've achieved something. I hope that you will be okay. Thinking of you. Thank you all for sharing your pets with us. No one can really understand the pain of losing your mini, except someone who's shared their life with one. We lost our little guy, ToTo, in January. Somehow, time passes and you start to heal, but I still see him every day and feel the hole he left in our hearts. Tears run down my face reading your stories and remembering our precious boy. I've started looking to adopt a mini (girl). Not to replace him - not possible! - but to fill the empty spaces in our home that he filled so lovingly and joyfully. He'll be missed always, but maybe we can rescue and adopt a little girl as a tribute to him and in gratitude for all he was and all the love he gave and what he taught us about trust and unconditional love. We'd like to pay it back. First of all, I want to thank Jackie for starting this thread, and secondly all of you who have walked this journey with your beloved miniature schnauzers. I have just brought Dolly home from her ultrasound. The tech said her liver was VERY enlarged. She has had pancreatitis many times, bladder stone surgery, and a stage 4 heart murmur. I know she has been on borrowed time. Please know that sharing your stories and grief is important in helping others like me face this problem and begin to think through end of life decisions. I don't want her to be in pain, but selfishly would like to have her with me until her last breath. I will listen to my vet's advise. Presently she eats and drinks well, loves a walk and plays. Dolly is a tough little dog and needs bladder surgery again. Please hold us in your hearts as we face the results of her sonogram. I share your schnauzer love. As I watched the agony on your Dad's face as he wrote your goodbye, that same feeling of helplessness that I felt when the vet gave us the news came over me. How could I help ease his pain and yours? You have no idea what you've brought to our lives, but especially his... the way you adore him, follow him around, asking nothing in return for the love you give, but to be close to him. There's no love that compares. To say that you'll be missed doesn't cover it. I know that you, ToTo, give all you have to your dad and he loves you as much as is humanly possible. I wish there was a way to ease the pain, but it's just a price we pay for loving our pets... and the reality is, the price is nothing compared to all you are, and all the love you share with us so freely. The hole you'll leave in our hearts and lives defies description. So sorry you're experiencing the pain of a sick schnauzer who you love so much. I have no words for you. I just know how hard it is and I hope that you will be okay. It's the hardest thing to do, to let go, but he will go somewhere wonderful and he will wait for you and run to you again in the afterlife. So sorry. As I look down on your little bed I cannot express to you the pain I fell at the thought of losing you. When we took you to the Vet you could hardly walk and when he examined you he said the news was not good. You had a large mass in your little tummy. He said at 11 in your condition you wouldn't make it through surgery. Doc gave us some B-12 and iron syrup mix. We took you home gave you fresh food and your vitamin. In a day or so you were back to your old self. We prayed that the tumor would go away and kept you close to us to enjoy all the time you would be able to give us. It's been 3 wks now and you have showed a decrease in your appetite and you are not running to meet me like you always have. I sit here crying as I write this knowing this is my letter of good-bye to you. Thank you Toto for loving me I will miss you so. Thank you God for our little Schnauzer. Please keep him for me. Thank you so much, hopefully things get better soon with time. I'm so sorry for what you went through. I feel your pain. Time might make it easier to cope but you'll never forget your little dog. Thinking of you and hope that you'll be okay. This week our beloved 3 year old Miniature Schnauzer stopped eating and wasn't his usual bouncy self. We took him to our local vet who gave him some antibiotics and took some blood and were told to pop back with him the following day. We returned to the vet saying that they needed to keep him in as he needed further tests and fluids. Later that day we had a phone call updating that an appointment had to be made to see a specialist for further consultation and tests/MRI. We met the consultant who, after doing some feeling, temperature checks and inspection in his mouth, said externally he was very healthy and very bright. I left him for more tests and got a call a few hours later from the specialist saying that she found some abnormal things with his kidneys and possibly liver. She said if one kidney was damaged there could be an op as long as the second was ok but she wouldn't know until later after she received the 2nd opinion from an external laboratory. At that point she said that if it was a form of cancer then the oncologist wasn't in until the following day so to head home and wait for the call around 17:00 later that day and he was to stay on fluids for 24hrs anyway. At 17:00 as promised I got a call which after a few minutes later couldn't speak so I asked the specialist to call my partner to explain to her. I got a call from my partner a few minutes later with her in tears saying that both kidneys and the liver were riddled with cancer, I was distraught. We agreed with the specialists recommendation to euthanise. I drove straight to the referrals and was greeted by two uncomfortable receptionists who took me to the original consultation room from that morning. A few minutes later, in came my beautiful boy, again so happy to see me, licking my face as I cuddled. The specialist then asked if I was ready, I just nodded, she first put in a small amount of clear saline, I cuddled him more and spoke to him in a loving, reassuring way, around 8 seconds later I felt him get heavier, he was gone. I know everyone says "oh, I have the perfect dog" but mine was amazing, he has never been shouted at, he would growl at the postman van then wag his tail when the list came though the letter box, he never poohed in the garden! He rarely went on a lead and was the most happy, caring, sociable dog I've ever known. The specialist said if he returned home he would stop eating again, and be in progressive pain (which he was probably in anyway) but without treatment possibly a month to live. Treatment is quite harsh for this type of cancer with an injection every week and probably lots of side effects. I'm absolutely gutted, and as expected the entire family are upset. Where from here? So far it's been two days of which after plenty of wine I sleep but the moment I wake (around 2 am) that's when the tears comes and I get up. Agree. I didn't know that red eyes can be a sign of something very sinister going on. My boy went completely blind in his one eye throughout the treatment for his cancer. Unfortunately, the treatment didn't work and I had to lay him to rest. It was very devastating. I feel your pain! Our Ali was just put to sleep! I took her in, because of red eyes! She was diagnosed with lymphoma - stage IVb. We tried chemo drug, cause they told us she'd feel better by weekend! She had horrible reaction to drug, we couldn't bear to see her suffer...no more tests, drugs. She went to heaven Thursday to be with her sister - Jessi! She was 12 years 9 months, mini schnauzer. She had liver shunt surgery at 1 & beginning of kidney disease (mature dog issue). She was eating, potty all normal until I took her in a week, before she went to heaven. She was occasionally pawing at her eyes & gums bled a bit when teeth brushing. So sorry you're experiencing this, Spencer. It's so heart breaking. I hope that your precious schnauzer will pull through. They're never here long enough. Very sad. Jackie, thank you for sharing your story and my deepest sympathies over losing Nelson and all you both went through. I stumbled upon your heartfelt story as my beloved "doghter" Cleopatra is currently in the hospital suffering from liver problems. My fingers are crossed it is treatable but I'm trying to prepare for the strong possibility she's got cancer or liver failure. She was born on Groundhogs Day in 2007 so she just turned ten and has always been super energetic and playful, recently she's lost weight, been lethargic and constipated and very listless. Her first diagnosis was a back injury but I got a second opinion and blood work which showed elevated liver enzymes. I'm praying for a miracle but like you I won't let my best girl suffer if there's no hope for a better life. Peace, hugs and blessings to all my fellow Schnauzer lovers who have gone through this. My advice is to sneak a bit of milk thistle drops in their water, as it seems this breed is prone to liver issues. I just learned yesterday that Heidi, my beloved 12 year old mini-schnauzer, has liver cancer. After reading your article I agree that comfort measures are the best things to do for her. She loves her walks so when that is no longer possible for her, I will euthanize her so she can join her sister who died last year from heart failure. We all love our pups as our own children and I wish you all the very best as you learn to live without you mini. I cannot imagine the excruciating pain and void that you must be feeling. Grieving the loss of a beloved pet is one of the hardest things to process. I am so heartbroken for you. I am so sorry that you had to make that painful decision. I bet your fur baby had a wonderful life and made yours wonderful in the process. There is nothing like the love of a pet. That unconditional love we receive is like none other. My heartfelt condolences and prayers go out to you and your family for your loss. My Nelson too had bad teeth and had to have a lot of them extracted and this occurred a few months prior to his illness. I sometimes wondered if it was all inter-connected. He had suffered from bad breath most of his life too. I wish you the best for your dog. It's gut wrenching to watch them deteriorate before your eyes. Prayers. RIP Nelson, Banjo and Molly - miss my Three Amigos. Thank you and bless you for sharing this painful experience with us all. My beloved schnauzer son Mickey, who just celebrated his 11th birthday last month, has had a decreased appetite. We changed to moist food and he was good for a bit. But now has stopped eating it. He has always had bad teeth and has had a number removed In years past. So I thought he must have something going on in his mouth making it painful to eat. Just yesterday the vet advised me that he too was anemic and also had a low platelet count. His liver enzymes, liver and kidney function all checked out fine within normal range. With the information you have shared I now will see if they can do anything to check for the micro liver issue you explain. D and my 3 Schnauzer angels, plus the many other Schnauzer friends and family members and pets I truly love!! Oh, Holly, that's so young. Your poor little poppet. So sorry you lost your baby. It's so devastating but I do believe that they wait for us on the other side and they're always with us in spirit. My thoughts are with you. So sorry for your loss. I'm glad I could help you, even if a little, with my own sad tale. I'm just trying to make sense right now of some terrible news I just received from my son, and happened upon your post. Our beloved neighbor schnauzer, Gustov, has just been put down yesterday and we are learning it was liver cancer. Last time I saw him he looked fine, and out of all the dogs in our area, he would have been the last one we would have thought would have an illness. I'm just devastated, he was such a sweet angel, but somehow your post helped me to understand that perhaps it was fast moving, and ultimately, I hope he didn't have to suffer for very long. He was only about 6-7 years old, and was the picture of health and happy pet. I'm so sorry you went through that. Sometimes you wonder whether the vets are right with their diagnosis. I'm so sorry you're feeling so much pain. My sweet girl had an infected cyst between one of her toes that became infected. Antibiotic was not clearing it so Vet put her in surgery to explore and clean it out. Since she was under they also extracted 20 teeth and removed a small cyst on her side. She was energetic after surgery and I cleaned and soaked her toe for a week. She was on thyroid medication and 2 different antibiotics. Gums and cyst on side was healing but not her toe. Culture came back as staph so they put her on a third antibiotic for humans. After a week she became sick with fever and weakness. She collapsed on me. I rushed her to the emergency vet. Blood test showed her liver enzymes had sky rocketed to 1800. Less then 3 weeks before her blood was normal. I was told she was also anemic. They did an ultrasound and told me she had two large masses in her liver and one in a lymph node, along with lots of small nodules. They said most likely cancer and I should humanely euthanize her within the next 48 hours. They were concerned of one or more of them bursting. My head was spinning. I took their suggestion but first brought her home. I took 3 days off work to spend every minute with her. They put her on cortisone to help shrink inflammation and make her comfortable. She never threw up or lost her appetite. I'm not sure I made the right decision. I keep thinking maybe they were wrong and they were not cancerous. I'm beside myself with grief. Our beautiful Rudy has cancer in the lumph glands and liver. Was happy and energy until last week. He is not eating and we were just told he hasn't but a few days. He has been our best friend and part of our family for 11 years, this is so hard to put a part of your family down. Our heart is breaking but we have to let go and be kind to our best friend. Thank you for sharing your story about Liesl. So sorry for the loss of your beautiful schnauzer. They are the greatest dogs. My miniature schnauzer, Liesl, just started acting like she was having a very hard time breathing one evening, so I took her into the vet that night. Her gums and tongue were white, which meant that she was very anemic. They took an x-ray, but did not see anything. Her little tummy was swollen also. They gave her some pain medicine and has me bring her back that next day. From that day for a week, I took her back to the vet office, and they said they did not know what was wrong with her, so they started treating her for what they thought was the problem. They did an autopsy and found large balloon-looking pockets of blood all over her liver. Of course we do not know how long she has the cancer, but there was obviously nothing that could have been done to save her. Snooks had to be put down 13/06/2015 also from cancer of the liver that spread to the lungs. Right now, I'm just devastated. She was such a sweet girl. Always trying to make friends with everyone and everybody. I miss her so. Thank you for sharing these posts. My 9 year old Ruby June has been through so much with me. She suffered the loss of her 'other Daddy' to Cancer two years ago and made that transition in my life much easier. She has always been a gentle soul, loving, and full of heart. She is a quiet girl and suffers from epilepsy, but has been treated with medication since her first heat. Last week I drove my Sister In Law cross country to her new home. Mid trip my niece (who was watching Ruby and her sister Kiyah) called to say that she refused to eat. Since she had been to the vet the day before I left I wasn't too concerned. She had a slightly enlarged liver but that is not uncommon with the meds she is on. I brought her in the next day and her liver values were off the charts. Oddly nothing else is. Everything else seems normal. She roused yesterday for a bit and ate some boiled chicken...only to vomit half of it up. Her urine is dark and she's lethargic and shakes upon seeing food. The vet is recommending an ultrasound but is not saying I should be really concerned. I can't help but be. Losing her feels like losing my husband all over again. She was my rock while I lost my Mother six years ago, my Husband, then my Father...all to Cancer. I fear that this is where I am headed with her too. Doing some research I've come across how it only affects the liver values in some cases. I was wondering if anyone else knows of this being true? I am prepared for the worst and expect that I will lose her (it is inevitable...) but before I come to that point I was hoping to find out if others had experienced the same. Love to all of you Mini Schnauzer parents, they are a very very special breed! I am so glad that your beloved Schnauzer is doing better. I'm going through something similar with my West Highland Terrier currently. She's 13.5 years. I'm off to see the specialist today but my heart tells me that this is her time and enjoy what we have left with her. These beloved animals bring so much love into our lives. How lucky we are to have them. Good luck to you and your beautiful dog. I wish him longevity and happiness. I wish you peace and lots of love from your furry friend. Thank you so much for your support. It means an awful lot especially in the current situation. I spoke to an animal communicator Wednesday - Patty Summers. She was recommended by the author, Rita Reynolds. She said Roger wanted to come home. He didn't want surgery. She mentioned that cancer might be there but he just wanted to be with us. So I brought Roger home Thursday evening, $3000 poorer but happy to have him with me. The UTI is gone, the tooth has resolved (IV antibiotics will do that for you). But the other issues were still weighing on my mind. I saw our country vet on Saturday and, no surprise, no surgery. Dr. Manning is practical and kind; he said old dogs have growths on their spleen so no splenectomy. And, since the sonographer said the bladder stones were "small", Dr. Manning said that meant really, really small. He acknowledged the risk that one of them could get loose and lodge in the penile duct but he said he would not operate on Roger in his current condition. Roger is feeling better and is eating but only boiled chicken! I sneak in a bit of sweet potato now and again but he has his mind made up. He feels better. He has a bounce in his step and I am just glad he let me know what he wanted through Patty. And I am glad you were able to give me much needed support over the past week. I'm sorry that you're facing such a hard time with your beloved Roger. You're such a good soul to have given him a home and loved him. Schnauzers are such a beautiful dog. I have had two previously and a West Highland Terrier. Unfortunately, the two schnauzers have both passed and my little Westie, who is 13.5 years old, isn't doing real well. Anyway, I am sold on the schnauzer breed and have another puppy - she's 7 months old. They really win your heart and are so interactive and loving. Whilst I dearly love my Westie, she has always been her own dog and fairly aloof. The fact that you took Roger in would have meant a lot to him and he knows that you will do whatever is right for him. It is so sad when our babies get sick and even worse when you have to make that final decision. Your post is helping me with a very difficult decision, one you had to make and I don't want to make. We rescued a mini-Schnauzer named Roger 8 months ago. He was 11 years old and his owner was dying so rather than put him down, we asked if we could home him. We don't know schnauzers as a breed; we have Westies and have for almost 40 years but I couldn't let him die. Thursday he stopped eating. He drank chicken broth but no food. He seemed uncomfortable but still wanted to play. Saturday, when his urine showed blood, we took him to the emergency vet. Within hours they told us that he has chronic pancreatitis, a raging UTI and oddly an abscess on his gum above one tooth. Last night, they told us he has kidney stones and 4 growths on his spleen, one of which looks suspicious. I am sitting here, crying for Roger. I know what the vets can do - operate, remove the stones and the spleen, patch him back together. But what should they do? I talk with them today and will do what's right for Roger even if it breaks my heart. Thank you. I know how raw you would be feeling at the moment. I lost my other schnauzer (Nelson's brother) about 3 months ago and I cried and cried. The pain does go but you never forget these wonderful animals. I wish you all the very best as you travel this unavoidable road in life. God bless. Sparky was just diagnosed today. He is quite miserable and keeps waking up panting. It is breaking my heart at the moment as I cannot help him be comfortable. This just began happening about a week or so ago. He is fifteen and has had a full and rich life but telling myself that doesn't seem to be helping me now. 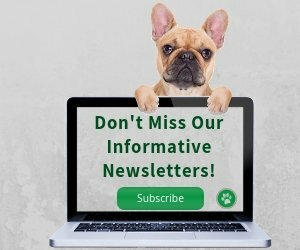 When looking at options, our vet is unsure how he would be with surgery to take the spleen out as just going "under" when he is feeling so weak is problematic. Any thoughts are welcome as I don't know how to help him feel better ... Thank you. I am touched by all the comments and wish everyone peace. I had a beautiful sweet lil Schnauzer that I just had to put down due to what appeared to be Pancreas abscess/ Liver Cancer. Lucy was only 11 & 4 mos. but was not her usual self the past couple of months. She had never had any other health issues other than ear infections and dental issues, unlike her 13 yr old "sister" Schnauzer, Libby who has bladder stones at 2 yrs and epileptic seizures at 12 yrs. Still, these two were close and we took them everywhere, especially camping. My wife and I have an adult son, so these were our "children" and they give/gave as much love as any dog could. Lucy then had a pancreatitis attack in May, 2013 and we nearly lost her. This past November she started losing weight suddenly (4 lbs/20), became frail and reclusive. We took her to the vet in January and she was diabetic, so we started on insulin. Weeks later she had another bad pancreas attack and ended up in the hospital. It was then that the vet identified a drop in red blood cell count and suggested an ultrasound. The results were shocking. She had a large mass mutilating her pancreas, maybe an abscess, and her liver was spattered with dark jagged edge masses. We didn't want a biopsy, we knew what it was, spent one more night with pain medication and then sadly said goodbye to our girl the next day. It has devastated us and poor Libby is distraught searching for her lil sister. We are so sad. Please, please, please dog lovers... get screening done for your older dogs and look closely for any changes. From one Schnauzer lover to another, I am so sorry. I too had to put my beloved Banker down due to a mass in his stomach. I don't know if it was definitely cancer, but probably was. He lost so much weight and was in pain. He was almost 15 years old and I was so thankful that I had him for that long. I miss him every day. He just had that "Schnauzer attitude", which I am sure you know about! I have two mini schnauzers, who are 10 and 9. My 10 year old Grace started to feel very frail to me in the last few weeks. I just felt like when I picked her up, she was all bones. She still seemed like her happy self, wanting her walks and eating and drinking well. This past weekend, I noticed what looked like swelling on her left side. 24 hours later, last evening, my husband and I had her at the vet. He drained fluid from her stomach and it was bloody. He ordered blood work which came back positive for a lot of stuff and on chest x-ray which she had done today, the chest was normal but her liver is very much enlarged. After a conversation between my husband, myself and our vet, we are going to have the vet operate tomorrow. Best case is that she has a tumor and he will remove her spleen. He assured us that if she does have cancer, he will know as soon as he opens her up and will not proceed any further. We don't know if we are making the right decision but she does not seem to be in any pain, just very lethargic. These decisions are so hard. I am obviously hoping she is cancer free but with the above stories, I am more worried now. This has been her first sick visit in 10 years and I am so shocked at how rapidly this has progressed. Please keep Gracie in your thoughts and prayers. Hi and really sorry for all your losses. I have been reading your posts over the last 24 hours and I want to thank you as I have taken comfort and understanding from them. 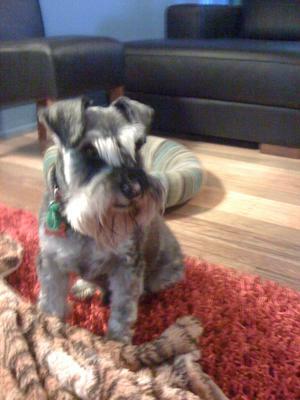 I today have just had to have my 11 1/2 year old miniature schnauzer called Pyper put to sleep. She has been such a happy little dog all her life but a few weeks ago her coat went flat and she started to be a bit withdrawn. 5 days ago she went really quiet and started being lethargic and struggled to get comfy. After tests and an ultrasound she too was found to have multiple lumps in her spleen and liver. The vet wanted to run more tests suggesting something might be possible although I had been preparing myself for the worse. Within 12 hours and luckily I have managed to do the last things I wanted her to do as she took a dramatic turn for the worse. She had her favourite walk on the local fields which I have managed to take her on and she seemed so at ease, enjoying the scents and smells and views for one last time, her face was happy and smiling! She suddenly stopped, looked at me and lay down as if to say goodbye. She had made her mind up herself. She wouldn't move from the spot and kept trying to go to sleep. Unfortunately she didn't mange it herself in the end, but I felt it was a fitting tribute to such a loyal and trusted friend, who I was lucky enough to have In my life. I'm so sorry you lost your Remington. How very sad for you. I can imagine how sad you're feeling and how alone. I still have Nelson's brother, he's 12 years old now, and I treasure every minute with him because I know I probably won't get a lot more time with him. If only they could live longer lives. I will be thinking about you today. I wish I could help you with your grief but nothing I say will help. Unfortunately, it's a very sad part of life us dog lovers have to face eventually. Look after yourself and treasure those beautiful memories you have with your boy. Jackie, I am so sorry for your loss. My sweet Mini Schnauzer Remmington was my beloved furbaby for 11 years. He was a rescue that came with pancreatitis and a slight heart murmur, but you would have never known he had medical issues. I was on my way to his vet yesterday because of excessive panting and a choking like sound, unfortunately 3 blocks from the vets office he passed, I was able to give him month to snout just long enough to tell him how much he was treasured and love. Remmy's 2 vets and a tweak of techs tried hard to bring him back, but it was too late. I was told his liver was huge and it was either cancer or heart failure that took him, and that if they could have saved him it would have been temporary. My grief is overwhelming right now, it seems insurmountable. I applaud you for efforts and then letting your furbaby go, it's hard either way, but sometimes they need help passing. So sorry to read about Casper. I think it's better that they choose to leave on their own terms rather than having to make the choice of euthansia for them. I struggle wih my last memories of Nelson because I had to go down the line of ending his life for him. I'm sure little Casper is happier in Doggy Heaven. My thoughts are with you. My beloved Casper passed away Tuesday morning after battling cancer for 6 months. It had started in his spleen, which was successfully removed but he developed liver cancer very soon. The chemo which he had taken orally started to slow him down and lately he was not the same. Finally he lost his battle Tuesday at 3 a.m. next to me in his sleep. Thankfully he passed away in his sleep and did not suffer. I will never forget the great 8 years we spent together but specially the last 6 months. I cannot regret any single day spent next to him and I am convinced that he left us because he was not able to cope anymore with the illness and his little body had deteriorated but even more because he did not want me to suffer anymore for him! I'm sorry your pain is so raw. It's been over 6 months now since I lost Nelson - I think about him every day and find myself crying when I do think about him. I still have his brother, Banjo, who is such a beautiful boy - I love him with all my heart and wish I could hang onto him forever but, at age 11.5 years, I know my time with him is limited. I have a little Westie too, she's as sweet as a button, same age - they're my best friends through and through. There's something about miniature schnauzers - they're such a unique little dog - funny, loving, inquisitive and extremely loyal. I don't think I could now consider another breed as my boys really won my heart - I had never had schnauzers before. Hang in there, Nadine. I'm really sorry that you're going through such a rough time. My thoughts are with you. If you want somewhere to share your feelings with about your little dog (and your dad), I'm happy to be a shoulder for you. Take care of yourself. I'm so sorry for your loss. I had to put down my beloved mini schnauzer Willow three days ago. She also had liver and spleen cancer. She was my soul mate and I'm just heartbroken. She started having a cough and I just wanted to check her out. The vet then did an ultrasound to check her lungs and that's how he discovered the tumors in the liver and spleen. Saying goodbye to my sweet angel was the hardest thing I ever had to do in my life. I just lost my dad two weeks ago and she was my rock to handle that situation... It's just too much. Jackie, I'm so sorry about your angel. I'm still in shock after losing my yorkie, Rocco, to cancer a month ago. He was the best thing in my life for 8 years. I'm devastated and feel so responsible. Oddly, when I took him to the vet because of his breathing they shrugged it off. I insisted on x-rays and blood tests at that very moment. X-rays showed cancer everywhere in his lungs, and an ultrasound also found a tumor on his liver. Four weeks later Rocco was so weak and sick I helped him crossover. I still cry every night and miss him more than anything in life. Thinking back he had not felt well in months. I'm also surprised that the vet didn't order tests right away when I told him about his breathing. God bless our babies and I pray we are reunited with them. Thank you Mary Ellen, for your kind words. They reach inside our chests and hold our hearts tight, don't they? Just hoping one day we're reunited. First I would like to say I am so sorry for the loss of your beloved pet I too have lost my Labrador Retriever Coco to cancer. He had lymphoma and leukemia which came on very rapid. One day he was full of life next he was very ill then got worse after that. He would not eat without medicine, prednisone to give him an appetite. Put on antibiotics to relieve pain. He just kept getting weaker and sicker. One night both of his eyes became red which scared me and I knew he was getting worse. We figured due to the enlarged liver and spleen that Coco was bleeding internally. We took him to our vets the next day to put him to sleep which was the humane thing to do as we did not want him to suffer anymore. Our best friend and beloved pet will be gone from us since October and we can't believe it will be a year since he left us this October. He will never be forgotten and will also be in our hearts forever. So I assure you that putting your pet to sleep was the right thing to do. I think all pet owners have doubts if they did the right choice to put them to sleep but if you love your pet like we do you don't want them to be in pain and have to suffer. So again I am sorry and I hope I have helped you a little. Take care.